1/3 cup cornflour dissolved into half a cup water. You can boil rice/pasta separately. For these proportions I boiled 2 cups of white rice and 2 cups of pasta. Take the other 3 and boil them. 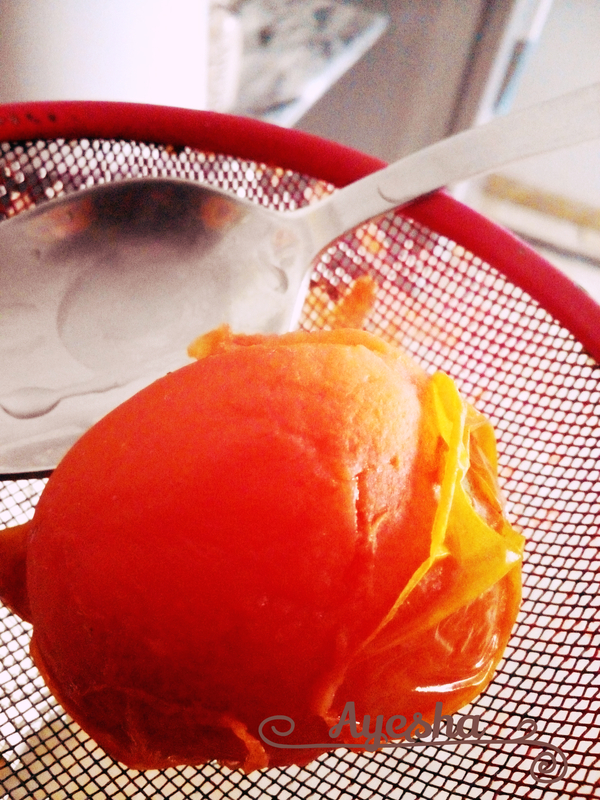 Then sieve them with the help of a spoon to get the juice. 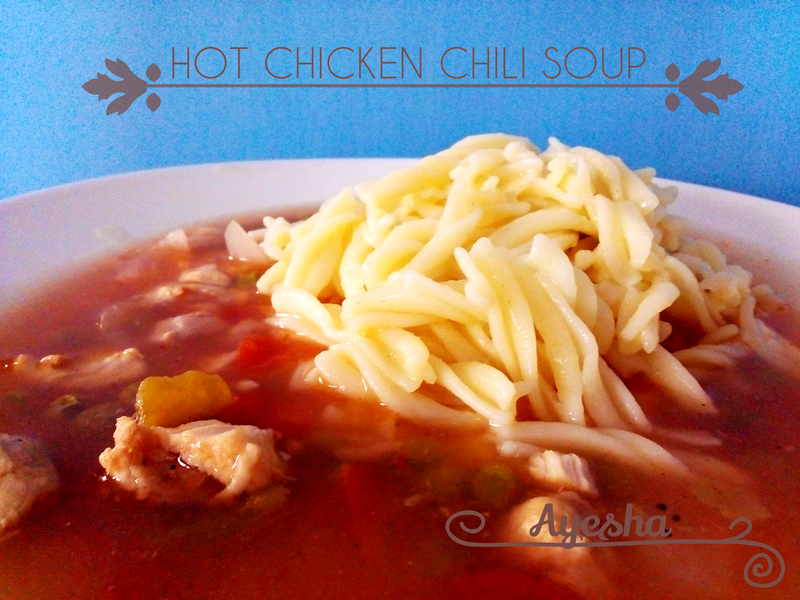 In a large saucepan, put chicken, all the spices,salt,vegetables and oil into 10 cups of water. Set it to simmer on low heat. 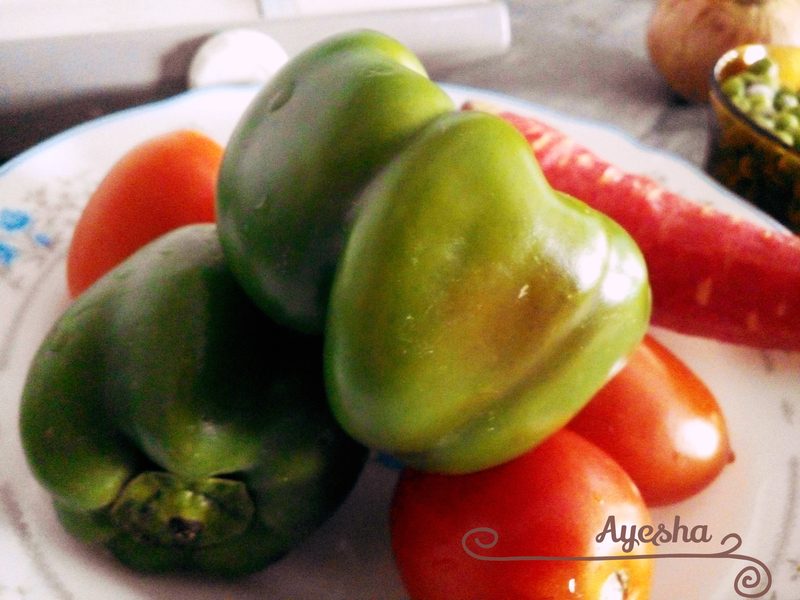 Cook for atleast 30 minutes to get all the vegetables cooked, and for the soup to get infused with flavor. Then add the soy sauce,chili sauce,worcestershire sauce and vinegar. Now switch to high heat and get the soup to boiling point. Now stir the dissolved cornflour into the soup, this will cause the soup to thicken. 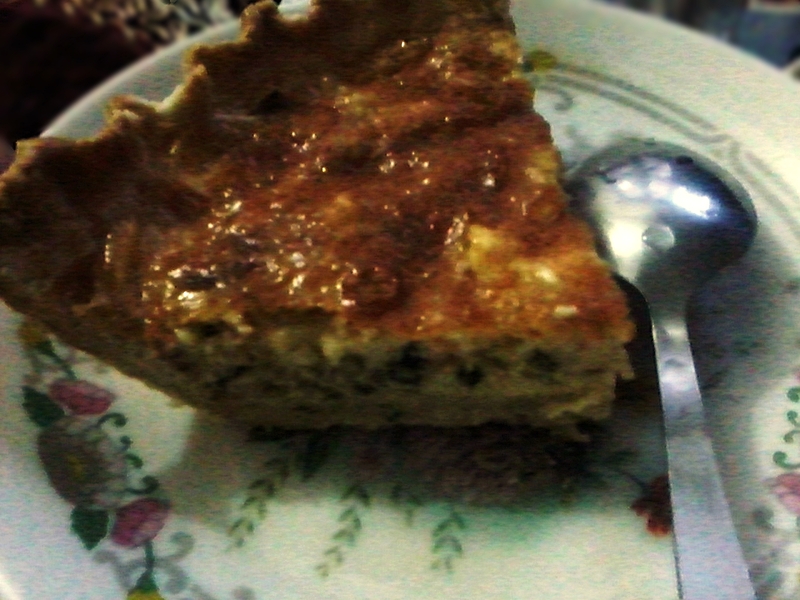 Today I did a chicken-cheese quiche for iftar(breaking of fast), which every one in my good ol’ family enjoys. 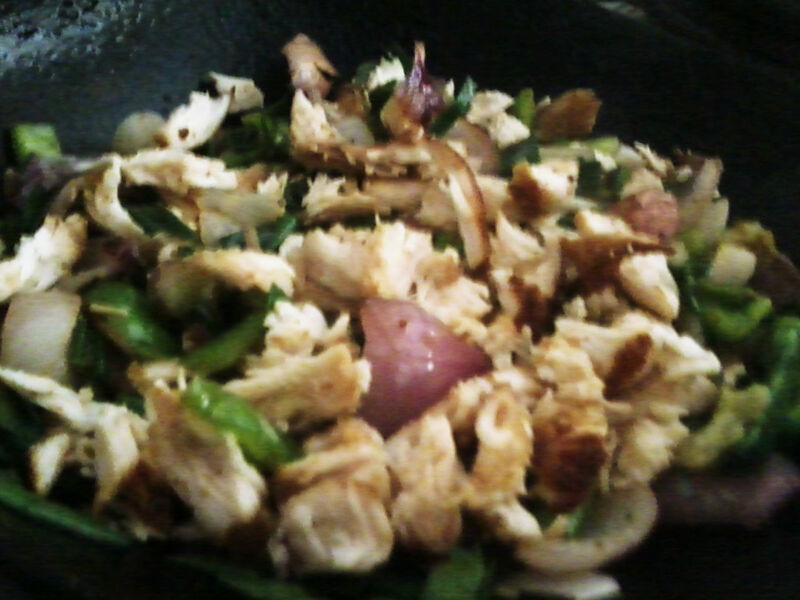 It was yummy, because..well there was cheese, chicken and flaky pie crust in there. You can’t go wrong with all that good stuff, can you? (Unless you’re an absolute kitchen Klutz like my baby sister who manages to torpedo almost every dish she makes). 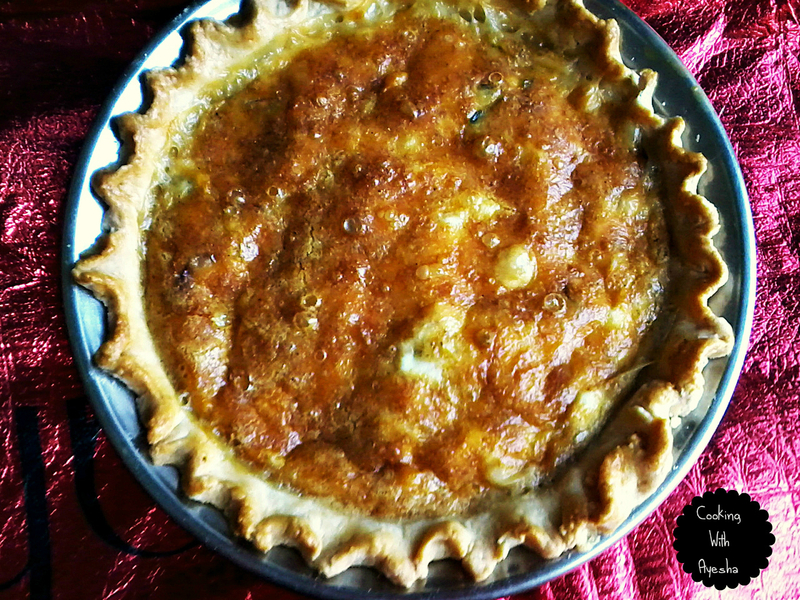 For this recipe, I’m using the traditional flaky homemade butter-based pie crust, unlike the banana cream pie recipe for which I used a ghee based pie crust. 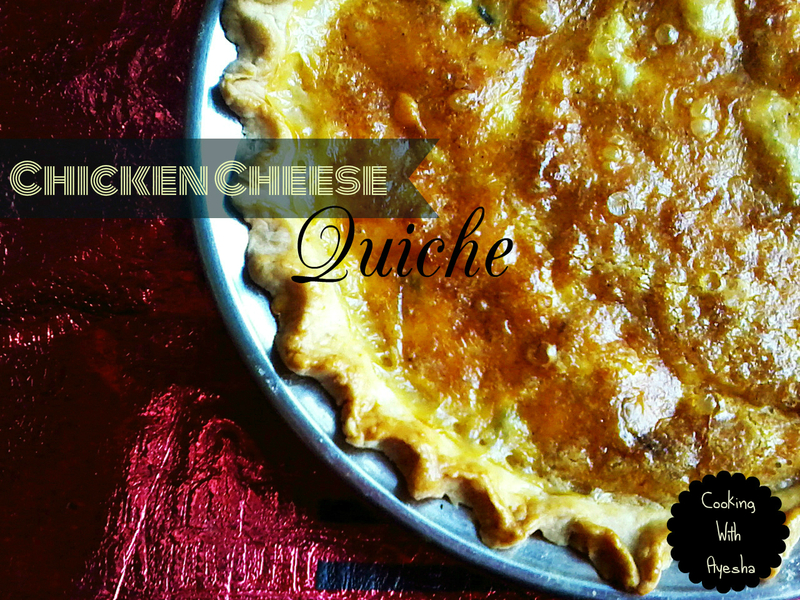 Quiches are best when the crust is absolutely flaky and have that yummy rich buttery taste! Of coarse you can use Crisco instead. But….. once again, “It’s best with butter”. 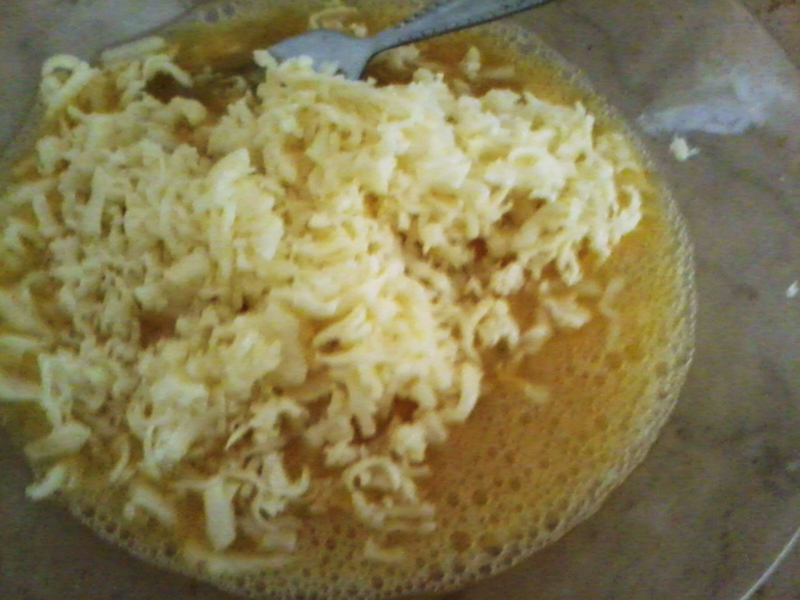 In a bowl whisk two eggs and add 1 cup grated cheddar cheese to it. In another bowl whisk the heavy cream, and an egg. Add the remaining half tsp(s) of black and red pepper to it and whisk. Lastly add the remaining 1/4 cup cheddar cheese and whisk again. Take out your pie plate. Spray it with non-stick vegetable oil. Then place your pie crust over the plate. Crimp the edges. 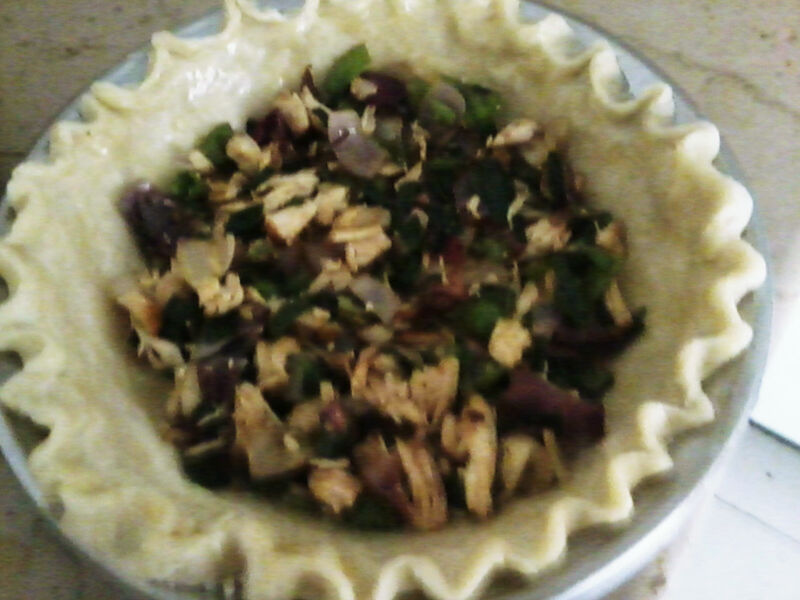 Now add the chicken vegetable filling over the bottom of the pie crust. The top it with the cheese-egg mixture and spread it over the vegetables with a spoon. 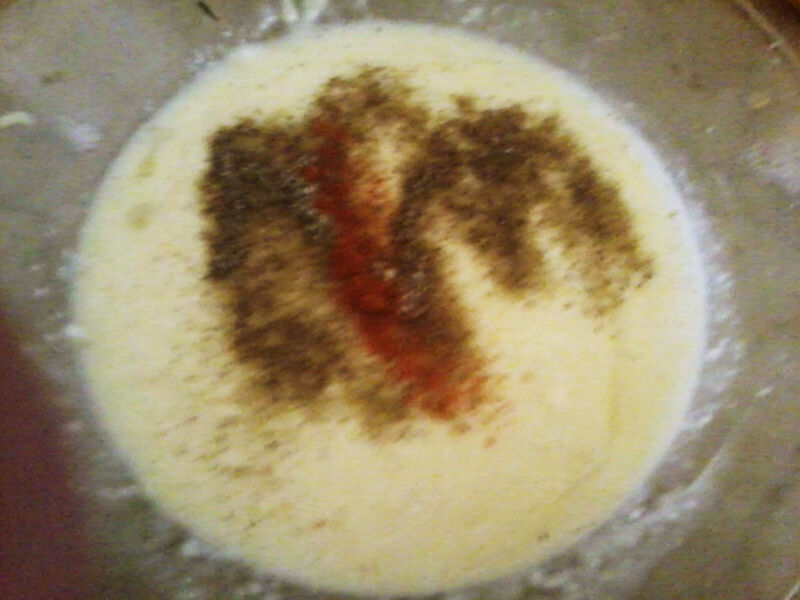 Lastly seal the deal by topping it all with the cream-cheddar-egg mixture. 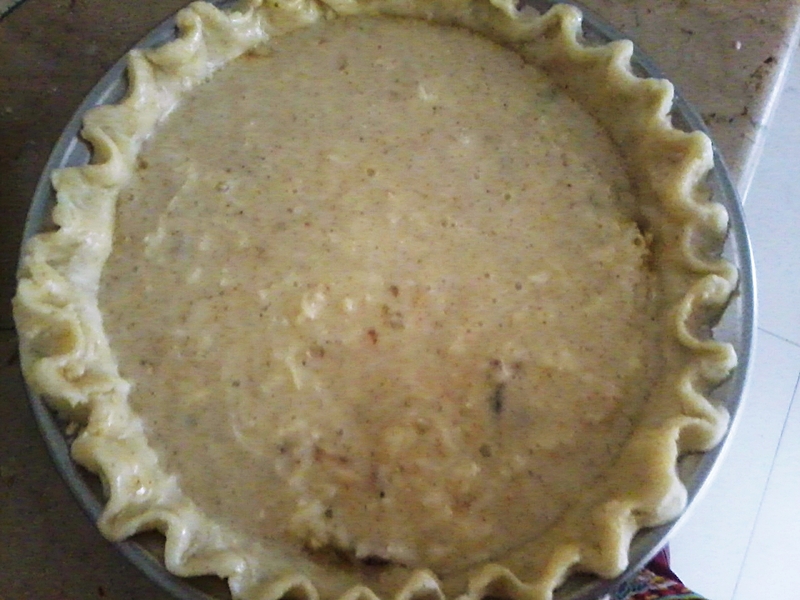 Set the quiche to bake in the preheated oven.Bake for 35-40 minutes until firm and golden brown on top. 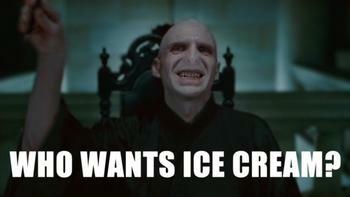 This was an instant success with my family, when I first made it. I made a ghee(clarified butter) based pie crust for this pie since my mom believes ghee to be healthier than butter. 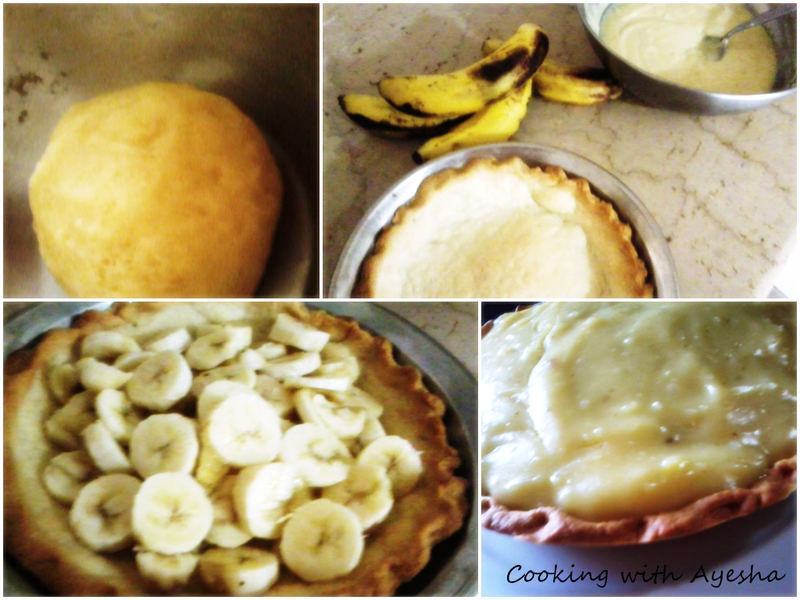 And it is an extremely easy dessert to prepare and consumes little time. Add the ghee/butter to the flour. Add the cold water and salt. Knead it into a soft smooth dough. Spread it on your pie dish and set it to bake. Take it out when the crust begins to get golden brown. Combine sugar, salt,flour and milk in a saucepan and put it on medium heat and stir gently until the mixture gets thick and bubbly. Add some of the hot mixture into egg yolks and whisk. Add the yolks into the milk mixture and stir . 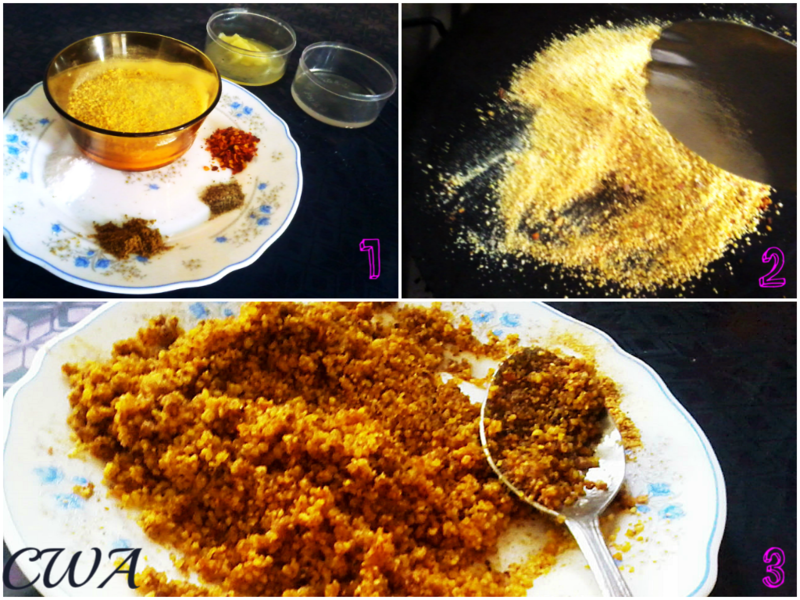 Cook this mixture for another 2 minutes.Remove from heat. Stir in butter and vanilla into the mixture. 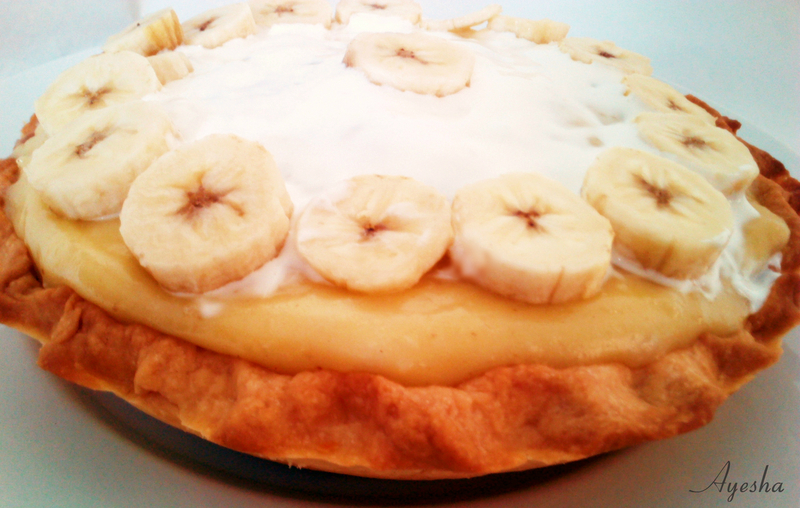 Now put three sliced bananas into the base of the pie crust. Top this with the custard mixture. Set to bake for 15 minutes. 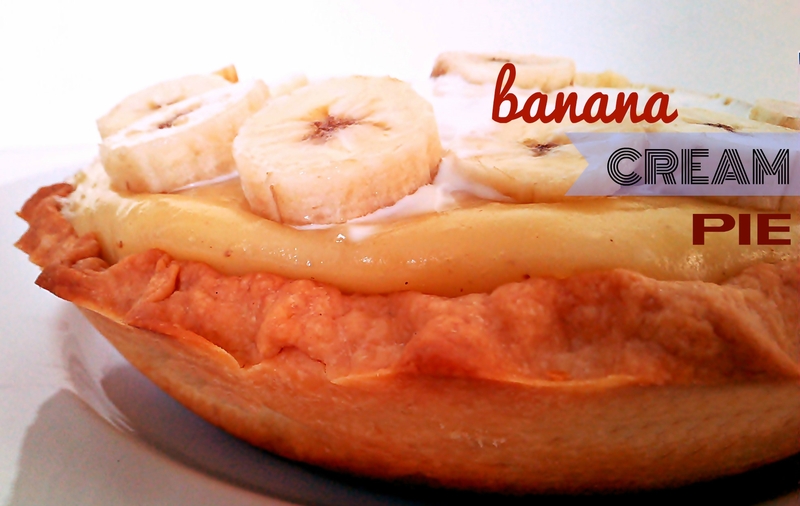 Put the last sliced banana on top of the pie. I have returned from Saudi Arabia, happy, and stuffed with goodies…. or rather my suitcase stuffed with goodies……and I feel cake deprived. A slice of elegantly presented cake in restaurants does nothing for me. 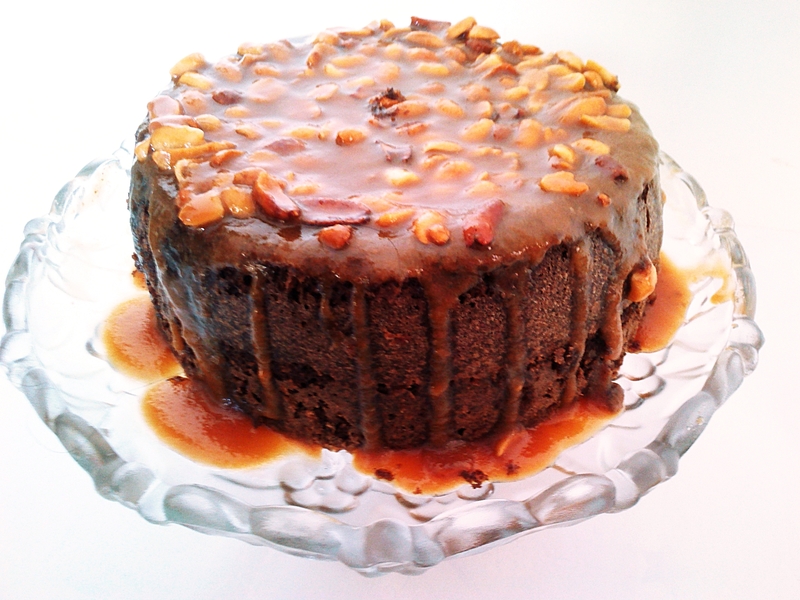 That one lonely slice always leaves me thinking…”That was a mouth sweetener, now WHERE is my cake??”. I need a nice good quantity of cake to make me happy. A few posts back I mentioned the lovely Dorie Greenspan cookbook(Baking: From My Home to Yours) I’d received as a surprise gift. I couldn’t get the time to bake something new so I’d been neglecting this book for a while. I opened my fresh copy yesterday and well…. I was drooling at the pictures Dorie had given of this cake. 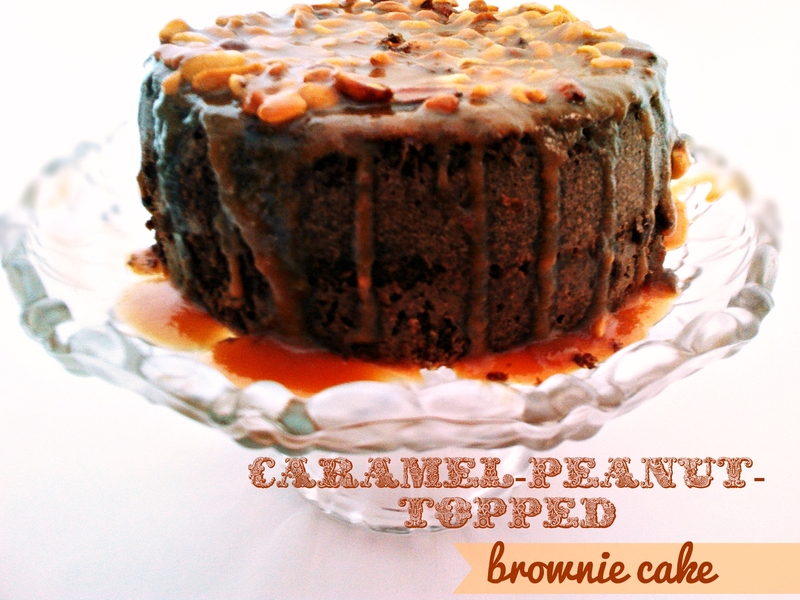 The lovely honey roasted peanuts lend a perfect icing to a moist brownie cake. 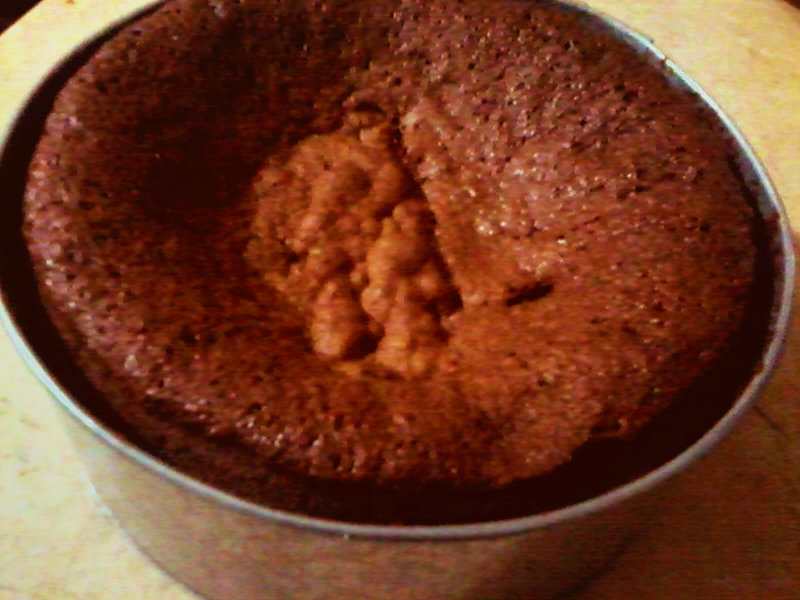 Dorie mentions that the brownie cake center will sink after baking. So we actually need our center to sink for this cake. I’m lazy. Not just your average lazy. But lazy like Duddly Vernon Dursley or ‘dudders’ from Harry Potter. Fortunately for me, I’m not fat . Else my sisters would call me Dudders instead of ayesha. They’e so annoying that it makes me lazier. Tomorrow, I’m supposed to leave for Saudi Arabia. But instead of stuffing my suitcase with stuff, I’m “Gettin’ Awardy”. I secretly believe that when I’ll go to sleep, my clothes are going to fold themselves and walk into the suitcase. That’s when I call myself a die hard optimist and what my sister calls an incurable nutcase. After all, I was raised on Enid Blyton stories and in there, everything walked talked and did their own stuff. Why are my clothes so damn lazy that they can’t fold themselves ..why? Anyhow, I’ll continue with the award. I, people, am a rebel. I rebel against the ‘thou shall pack when thou fly’ rule and will instead get chatty on my laptop. Last summer, when I wasn’t a food blogger, i rarely took pictures of food. I loved good food but i hated taking pictures. I took a few random pictures in Saudi Arabia like THESE but that was all. This time, I hope to bring back some great middle eastern recipes! 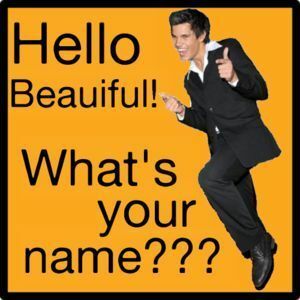 Finaaallllyyyy…. the…uhh…tasks….. You can hear me as I let out dramatic sights. People are you serious about these tasks. Like total real serious? I expect both of you to say ‘just joking’ but I’m hearing nothing other than my own sighs. 1. Where is your favorite place to live? Saudi Arabiaaaa. I love the food and Arab hospitality. 2. What is your favorite character trait? 3. Do you have a talent? I sing in the bathroom. I can also roll my tongue. 5. What is the most important thing to you in your life? Mom.mom.mom.mom.Her well being, her life. Everything good for her. 6. Who is the person you look up to the most, and why? I like other people’s pets…. but uh… no pets for me. I’m not worthy of them. 8. Do you have a dream you’d like to share? I want to make people happy. I want a wand that can solve the entire world’s problems. 9. What gives you the most happiness? Chocolate. 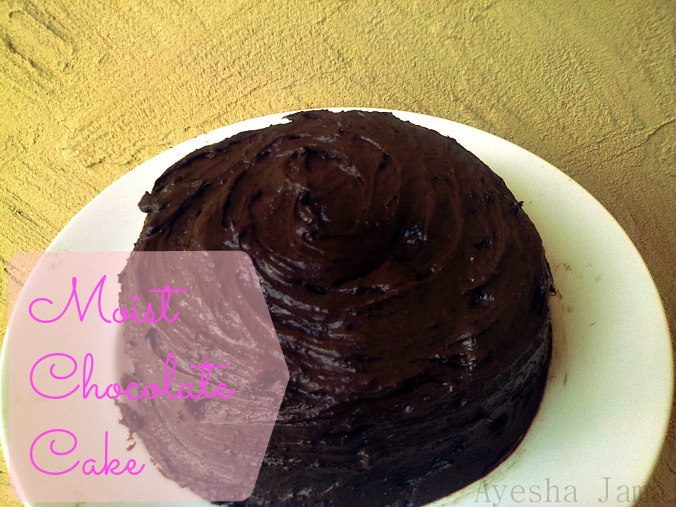 chocolate and more chocolate. 11. 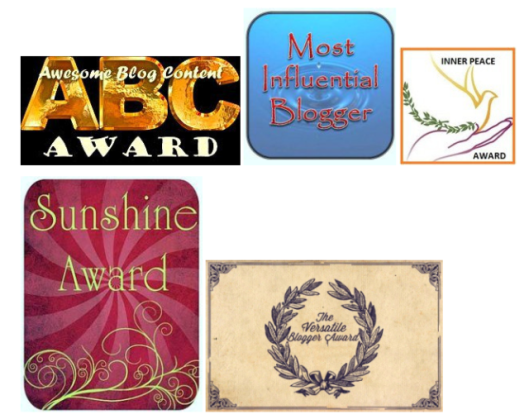 Why do you like to blog? a- apple, i love em. B-ball, i played with it. c-cat. i never had one. d-dog. my neighbor has them. Five, to be precise. e- egg. i like them sunny side up. f. frogs. i’m sure i’ll never see one turn into a prince. g- goat- i love mutton. h- heart. i have one. i- irritating. my sisters are irritating nincompoops. j- jelly- strawberry jelly over vanilla custard. aaaah, heavon. k- kite- I’ve flown them countless times. countless. l- love- i love loving. n-night- i sleep at night. o- orange- i love orange juice. q-quick- this is what i’m not. r- rat- i hate rats. big rats, small rats, white rats, grey rats, all rats. s- stupid- i become stupid to suit my purpose. sly. sly Ayesha. u- umbrella- i haven’t used one in a long long time. Go away sun. v- veil- i wear a veil with my abaya. Yep, I’m a ninjaaa!!! w- winter- i love winters. z- zebra crossing- have crossed it even though I’m not a zebra. That was…… surprisingly easy. I shall pass on these award to 11 of my fellow knights. 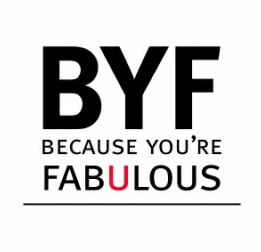 I chose them because of their Fabulousosity ………. 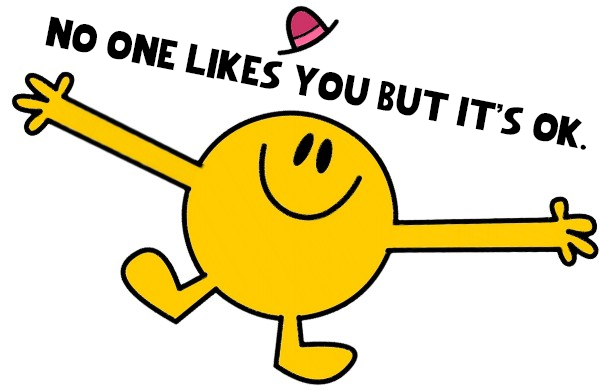 Pass on the award to however many bloggers you like. From 2 to 2000 or 200000…..as much you wish. Give interesting facts about yourself. Any number of interesting facts will do. 5+ facts will be appreciated. 1) Roast Moong daal and spices in a pan. Dish them out. Add the water and oil to the flour. Knead well with hands. Divide your dough into 12 parts. Roll them out. Put a little stuffing in the mid of rolled kachori. Using your hands seal the dough. Heat oil to middle-high in a wok/ frying pan. 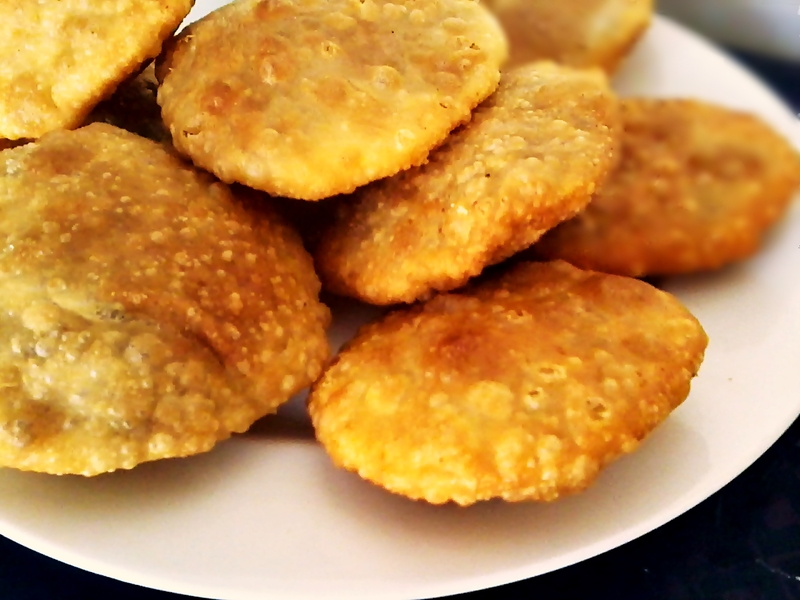 Fry kachori’s till golden-brown and crisp. Eat with Spicy Chola Tarkari Or with a quick -fix mint-coriander chutney!! In a saucepan heat the oil and add the pureed tomatoes. Let them cook for a few minutes then add spices and 1/2 a cup of water .Cover with the lid. Let this cook for 5 minutes. Add Chickpeas(Which have been soaked over night) and cover the lid. 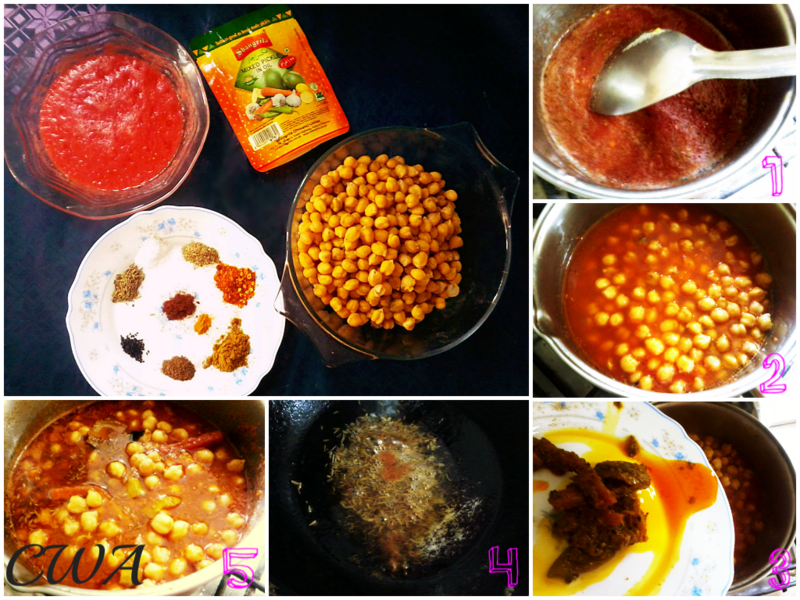 Cook till the chickpeas are tender. Add another half cup of water and 3 tbsp of mixed pickles. Let this cook while we prepare the tempering. In a frying pan heat 2 tbsp oil, cumin seeds and red chili powder. Fry till cumin seeds begin changing color. Then turn off the heat. Take the simmering oil and in the cooking chickpeas add the tempering and immediately cover the lid on the saucepan. Turn off the saucepan heat. This gives the spicy chickpeas a very distinctive taste. 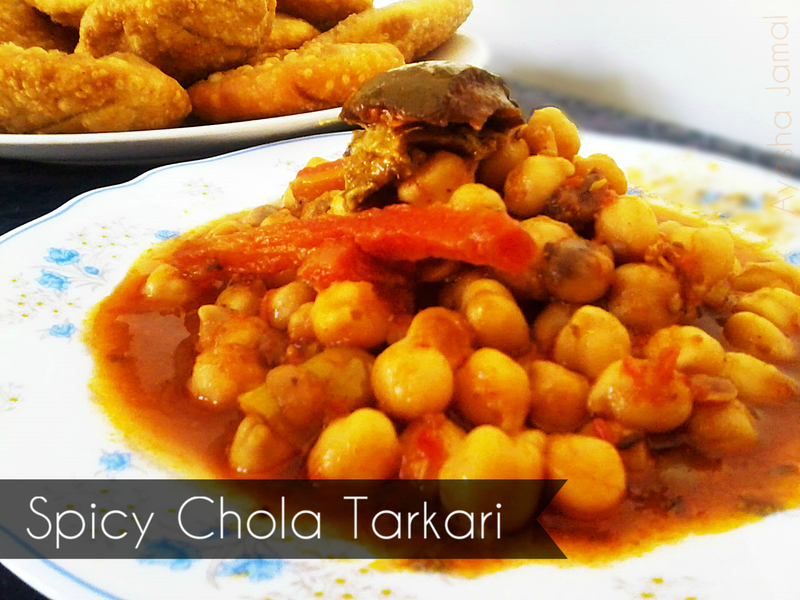 Spicy Chola( Chickpea) tarkari is now ready. 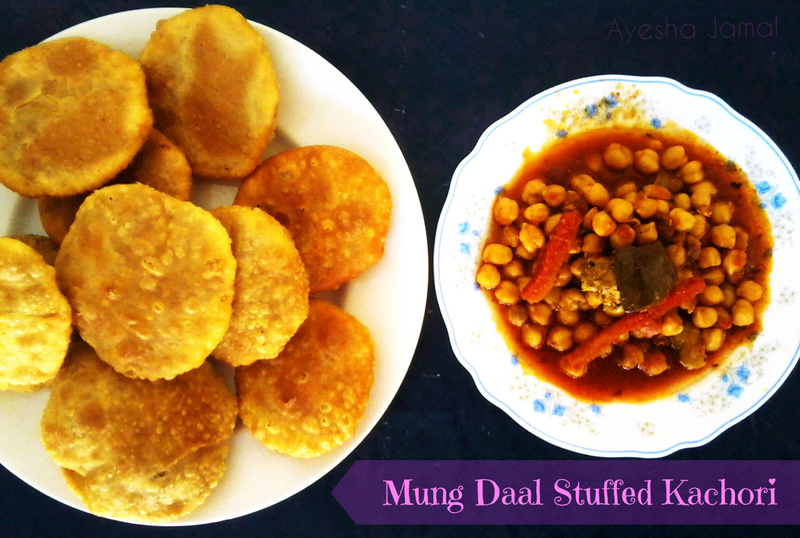 Serve this with Moong daal stuffed karchori, boiled rice or with flour tortillas. Like what you see? 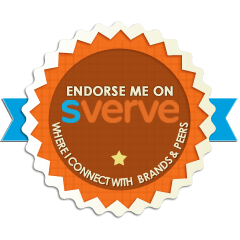 Subscribe and get emailed for new posts!